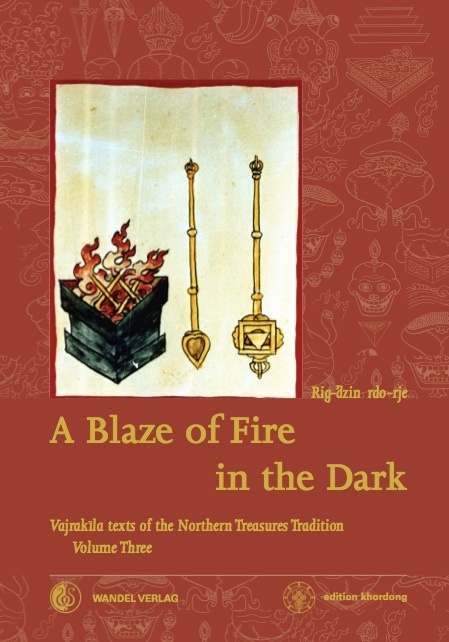 Together with a perusal of the historical role of sacrificial and magical fire rituals (homa) in the tantric Buddhist communities of medieval India, this volume presents a wealth of new texts and translations from the Byang-gter tradition of Tibet. 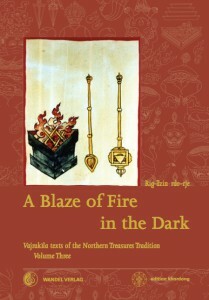 From the root texts of the wrathful homa rites of Vajrakīla, revealed as Dharma treasures by Rig-’dzin rgod-ldem in 1366, this book traces the evolutionary development of these practices in the light of innovative ritual strategies taught by important holders of the lineage over the course of three generations. The major text composed by Rig-’dzin padma ’phrin-las in 1695 (Accomplishing All Deeds) has remained the standard work on this subject for more than three centuries, being regularly performed to this day at the mother monastery of Dorje Drak as well as among the wider community of those who follow the Northern Treasures Tradition in Tibet, Nepal, Bhutan, Sikkim, Ladakh, and the rest of the world. Also to be found herein are vital pith instructions by the mahāguru Padmasambhava on the proper mental attitude and aspect of highest wisdom understanding that are to be brought to bear in the proper performance of these esoteric ritual practices. This entry was posted in Books, English Books, Vajrakila Series and tagged Tantra, Vajrakila, Vajrayana. Bookmark the permalink.